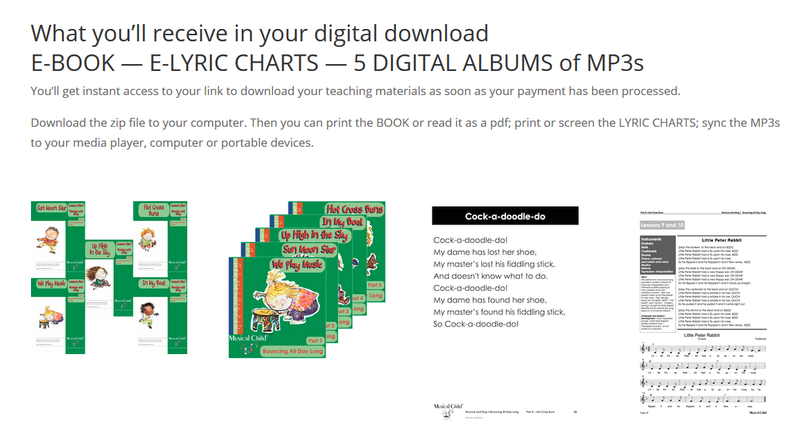 Why use our early childhood teaching resources or childhood lesson plans in your home? Because you are your child’s first teacher — nobody knows them better than you do and lesson plans can help you become your child’s best ever teacher. Our system is easy to understand no matter how much or how little you know about music. Get started today with your unique coupon code below. learn how to get along with others by making music together. Watch this short video showing you what goes on in our preschool program called ‘Sing and Play’. 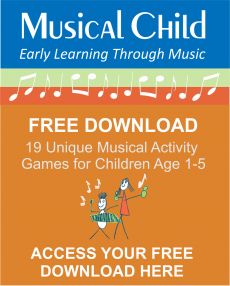 The kids are following early childhood teaching resources from one of our lesson plans that is just right for their age and loving it! You can see for yourself how the structured learning and the flowing sequence of pre-recorded music helps you, the home educator, get on with the real business of interacting with your child. And look at all the learning going on — it’s not just about music — it’s about the whole creative child! What do other At Home Educators say? Sophie is thoroughly enjoying Musical Child. She is even starting to sing nursery rhymes which is staggering considering she can only string about 3 words together when she talks. The other day she recognized Twinkle, Twinkle Little Star in a nursery rhyme book and sang the whole of the first verse on her own without any help or prompting. Many of the words weren’t perfectly pronounced but she was certainly having a go at singing every one of them. My child is not scared to burst into song at home. It helps his pronunciation of words. We sing at home in the bath. J. now turns the pages and her listening skills are improving, she can now add key words to the songs. It helps to settle her down at the end of the day. I think rhythm is important and my daughter really enjoys the equipment. The repetition of making and listening to, different sounds is very stimulating.